Agoda Bangkok is the premier website search facility in Asia to find Bangkok budget hotels and cheap Bangkok accommodation for that next overseas trip. Formerly they were known as Precision Reservations before the Priceline acquisition, so they have been around for a long time and in my experience are very reliable. 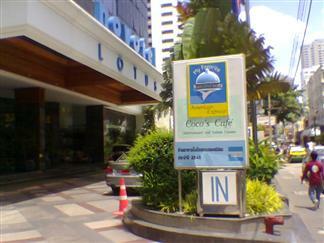 If you are not sure where to stay in Bangkok then you have come to the right place to find out. More and more people are becoming comfortable with the concept of self- service internet booking and reaping the savings. Whether you are a business traveller or just planning a special holiday, then booking on the internet has never been safer or easier and searching for your desired hotel takes just a few moments. Perhaps you have previously visited Bangkok and already know where you wish to stay. But if you haven't visited Bangkok before, then you may be confused by the different areas and be overwhelmed by the choice of Bangkok budget hotels. 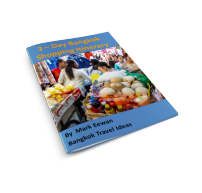 Not sure where to stay in Bangkok? Get yourself up to speed with an overview of the various Bangkok districts and you will see that Agoda Thailand has all the popular tourist areas pre-sorted for ease of use. One of the reasons that hotel accommodation is so cheap in Bangkok is because the competition is so intense and many areas still have an oversupply of hotel rooms; this means there are real bargains to be had for the savvy traveller. This is unlike many other areas in Asia, where hotel rooms are at a premium. When on the Agoda Bangkok website you get to choose from Silom, Sukhumvit, Chinatown, Airport / Bangna and many more Bangkok areas at the click of a button. Not familiar with these areas? Each of the areas of Bangkok in the Agoda Bangkok website has an associated map that allows you to check on the exact hotel location. This is a great feature, as hotels near the BTS Skytrain are always a popular choice and it pays to find out exactly where your hotel is located as being near transport can save you heaps of time. It also means that if your hotel is not available then it is very easy to search for alternatives in and around the same Bangkok location. This feature is even more important if you choose to stay in locations outside of the city. 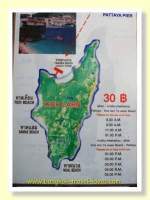 For example if you want to go on a beach vacation and stay on a particular beach and your first choice is fully booked. 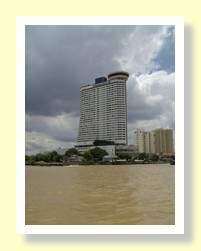 When you make a hotel selection on the Agoda Bangkok website, a choice of room types and prices is presented. 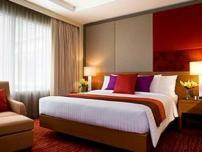 Choose the room type, inclusive of breakfast or not and the booking condition. The booking conditions are very important, so read them carefully as they relate to how late you can cancel and still get a refund. In some cases the very cheapest room rates do not offer any refund, but if for some reason you cannot make the trip then the costs should be covered by your travel insurance. I always make the maximum saving and choose the "no cancellation option". Ensure you do read and understand this section, so you know and can manage your risk. Are you still unsure about booking on the internet? You don’t want to end up in a dog box, but then you don’t want to pay the absolute maximum in a 5 star hotel if you are not going to use all the facilities. Not everyone needs a Pattisserie or a swimming pool, if they have one then you are paying for it, then choose accordingly. So what else can you do to make a good hotel selection? Agoda Bangkok supports each hotel listing with traveller reviews and feedback, where individual traveller rate their personal experience of that particular hotel during the time of their visit. These hotel reviews are a great source of information. As a general rule, look through the last 20 or so traveller reviews and see what the general tone is of the comments. This way I very quickly get an impression of whether that hotel is going to be a good experience or not. What are the sorts of things I look for? Is the hotel a conference or wedding venue, would be one example that could have some impact on your enjoyment? In smaller hotels the noise from these functions can be distracting and if you have small children or like to go to bed early then the situation may not be to your liking and it cannot be easily resolved. A second example is if the hotel is used by tour buses? In beach resort locations, if the hotel is one used by tour buses then there are some positive and negative impacts to consider. On the negative side, the tour group will all come down to breakfast early en-masse, so you want to avoid this breakfast time rush. On the positive side the tour group will be out of the hotel all day and you will have the pool and other hotel facilities all to yourself. It is surprising how good a guide these online reviews on Agoda Bangkok are. Just filter out the ones complaining about not getting a face-washer or finding an ant in the room and focus on the comments that are repeated from a number of different customers. Still not sure where to stay? 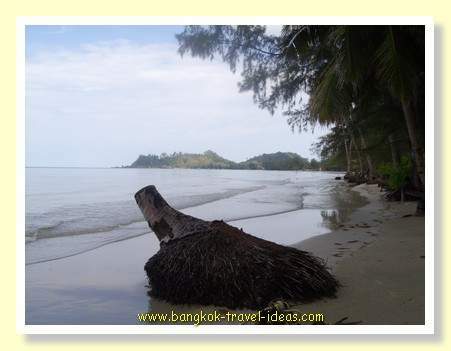 Then learn more about Bangkok tourist locations before deciding. Me, where do I like to stay? 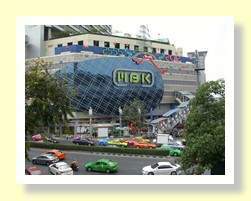 As a general rule I like the Sukhumvit area, because of the restaurants and proximity to the Skytrain. But at Christmas and New Year time, it is hard to beat being in the heart of the shopping area near to Central World and I would certainly choose Siam, Central World or Pratunam areas at this time of year because the atmosphere is just fantastic. 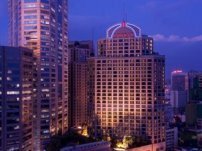 If you are travelling in a larger family group and are looking for two or three bedroom suites in Bangkok then I have compiled a list of the very best on offer.